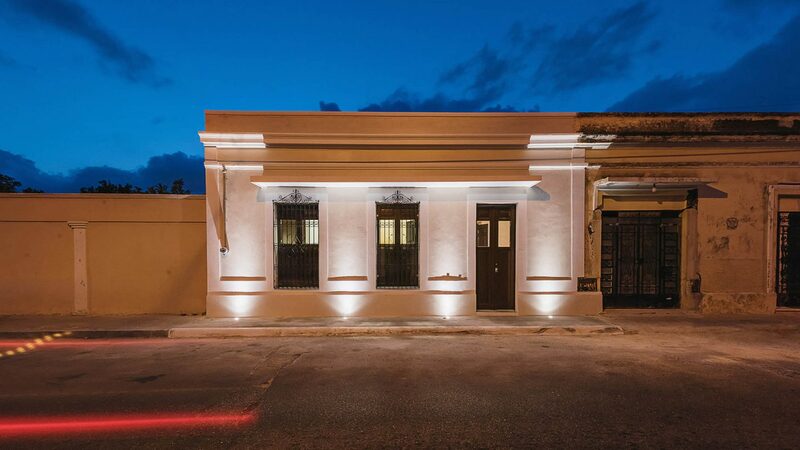 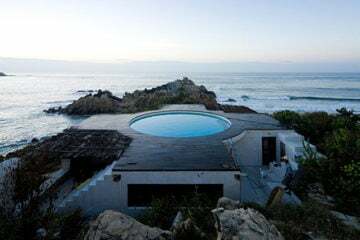 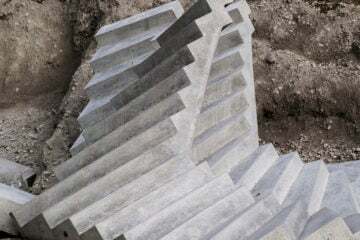 Previously a run-down property, ‘Casa Xólotl’ is the result of an ingenious renovation by Mérida-based firm Punto Arquitectónico, that links earth with water. 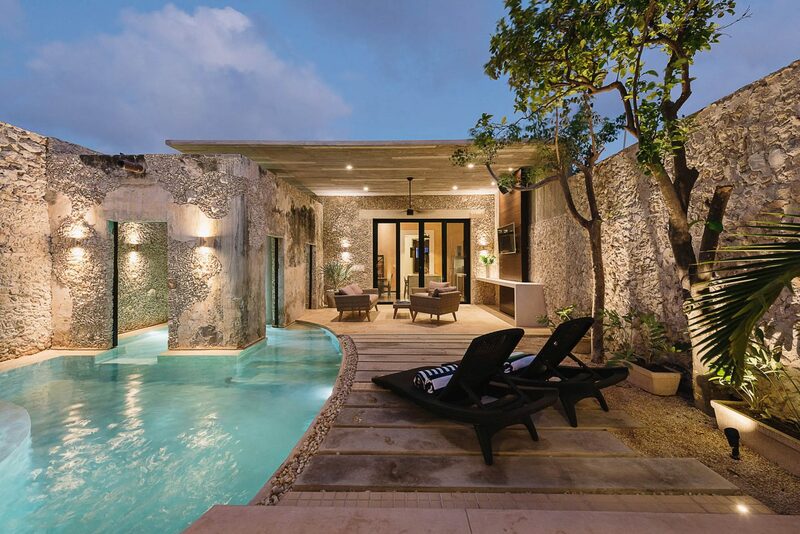 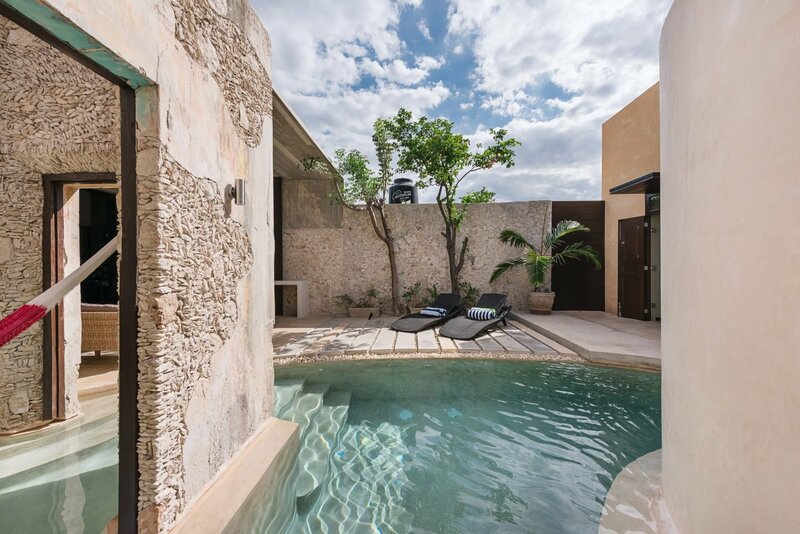 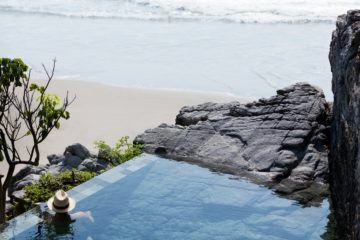 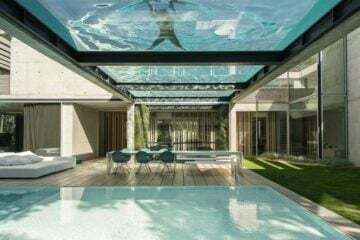 The courtyard of the home has been dramatically transformed into a multi-part swimming pool with a walled-in patio that connects the living spaces and two smaller bedrooms at the front of the home to the master sleeping quarters at its rear. 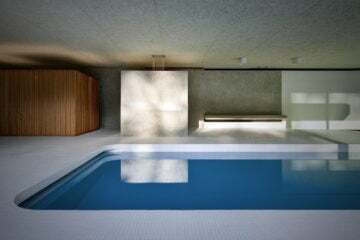 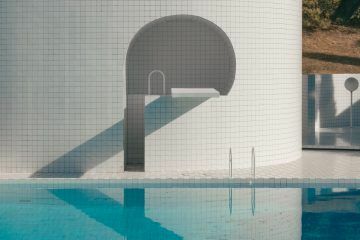 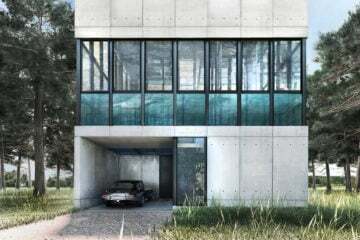 The layout of the front of the “The flooded room becomes… a space in which the interior-exterior limits blur and fuse.”home has been preserved, and the swimming pool at the center of the building floods through a series of ‘rooms’ designed by the architects around original features. 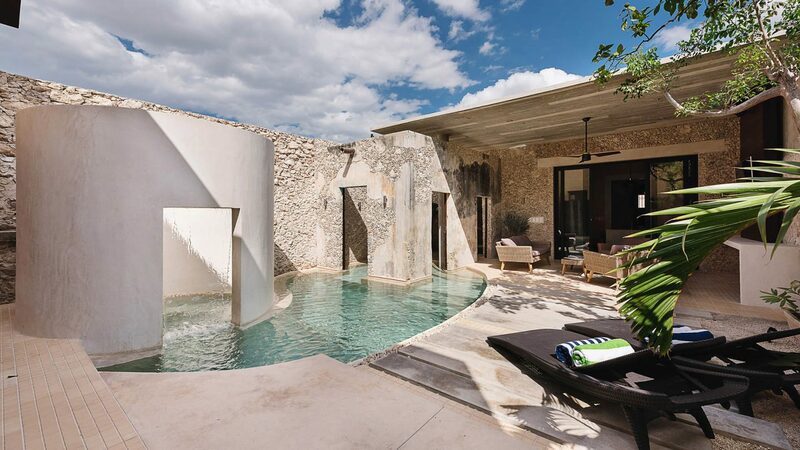 The facade of a pre-existing cistern has been carved into, a doorway now plays home to a waterfall. 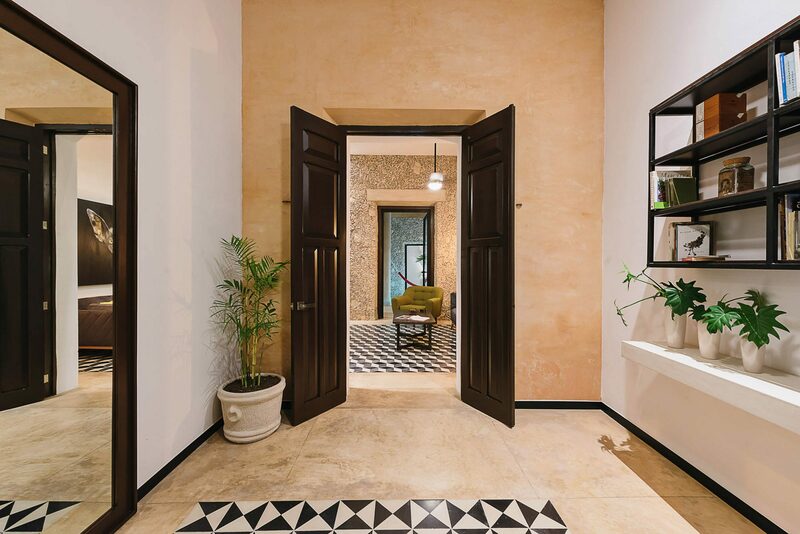 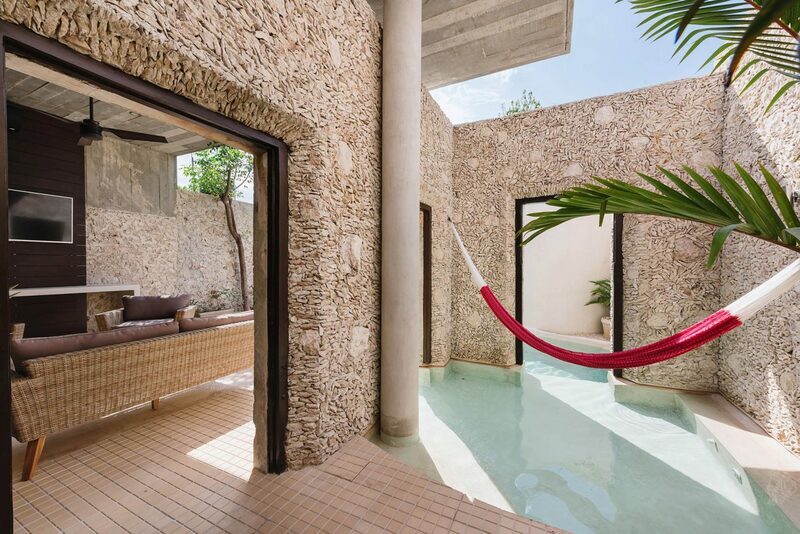 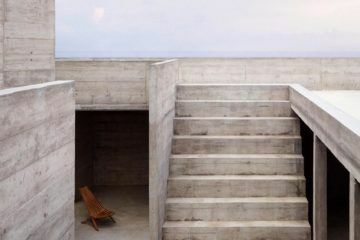 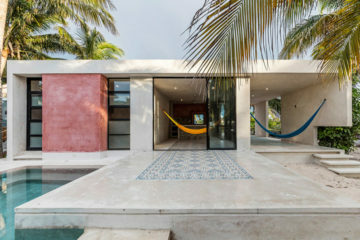 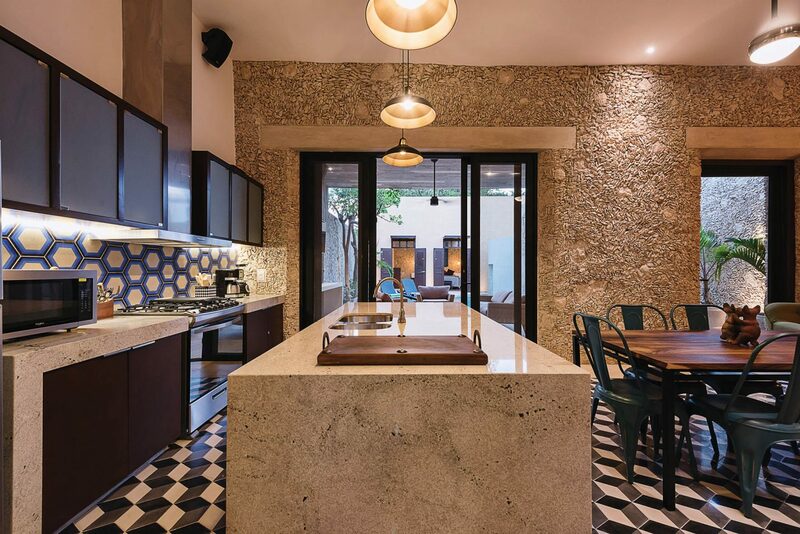 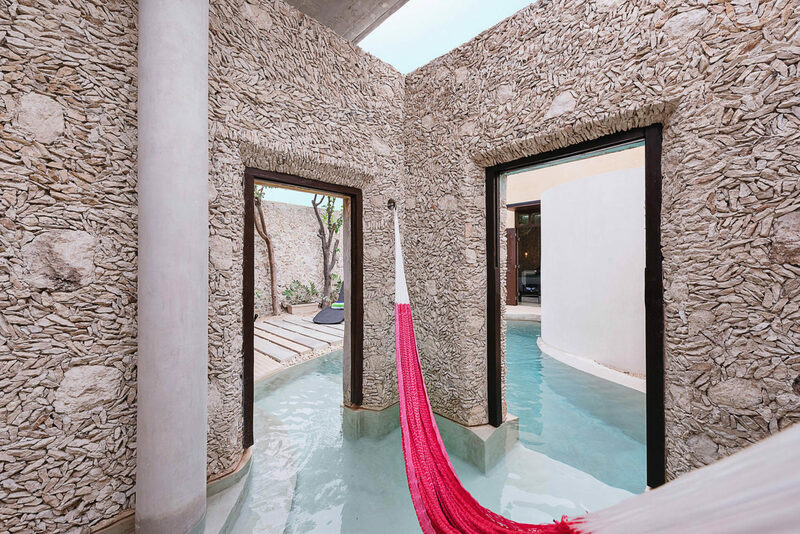 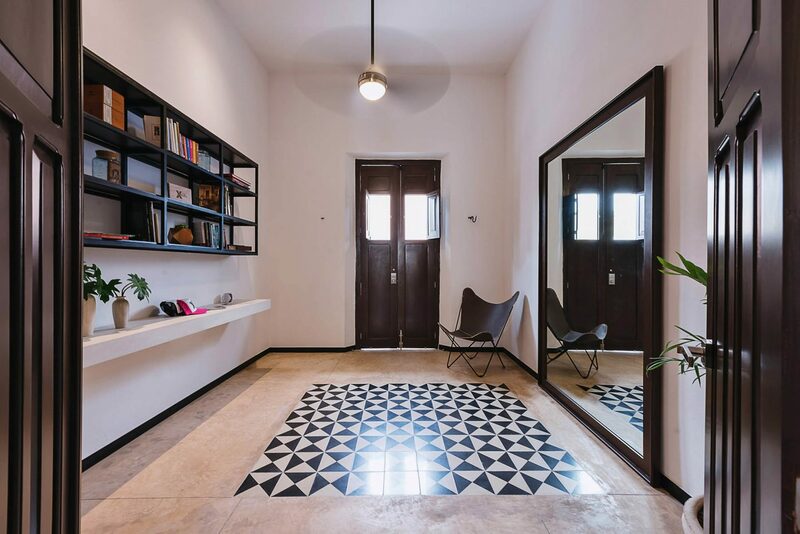 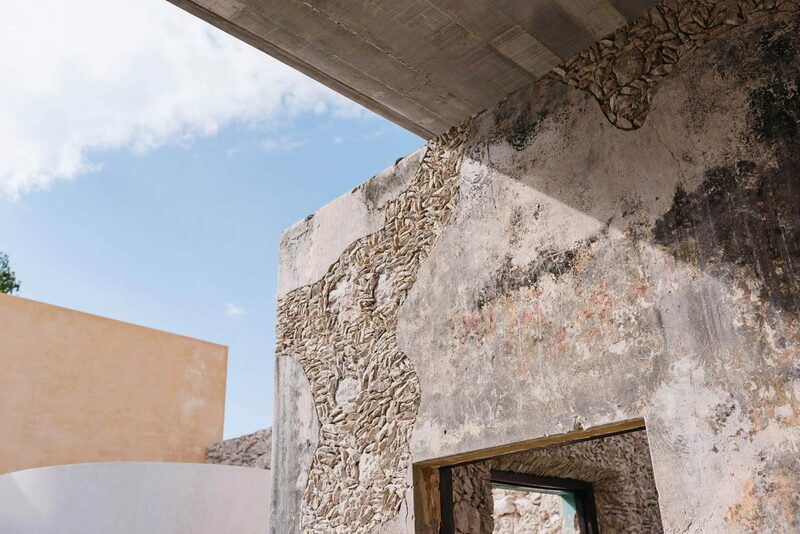 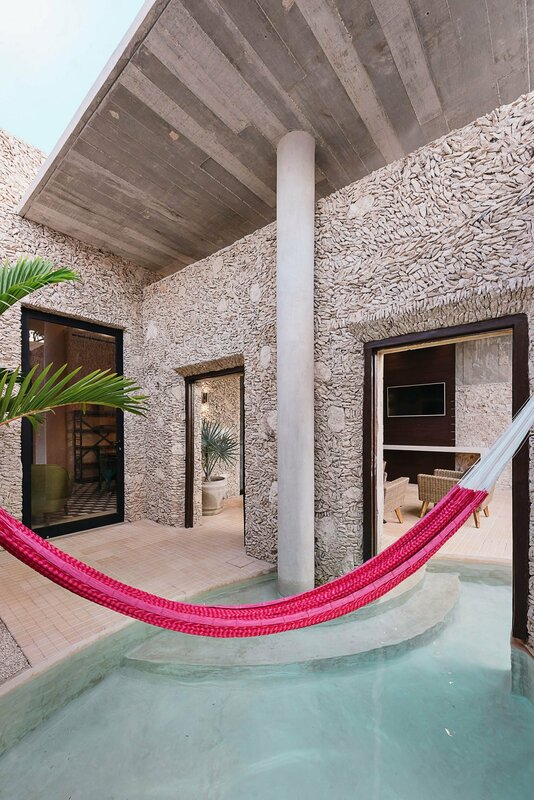 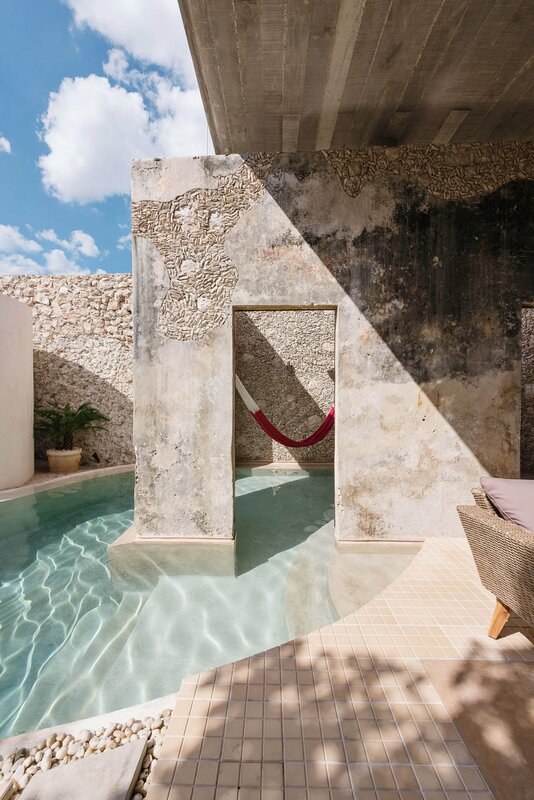 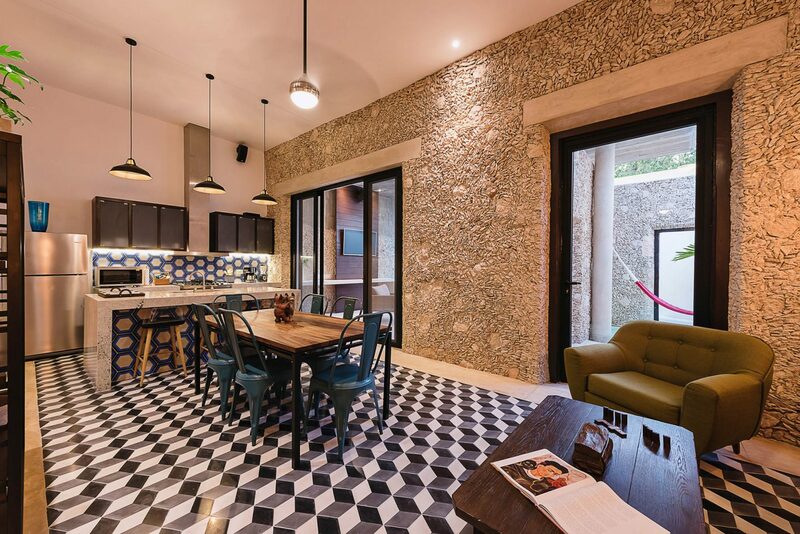 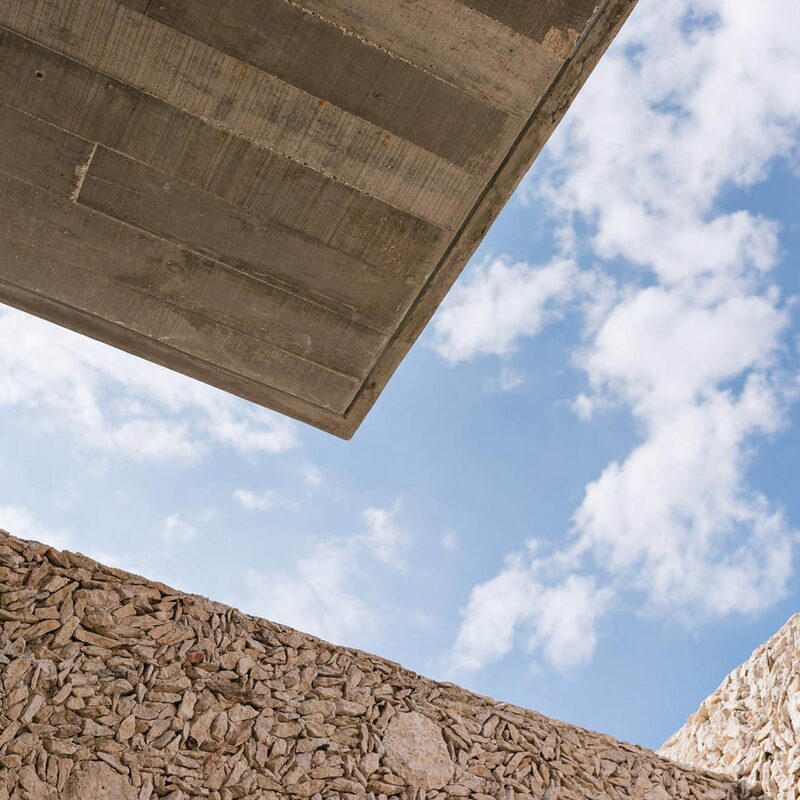 “The flooded room becomes the visual focus from the entrance,” the architects explain, “becoming a space in which the interior-exterior limits blur and fuse.” The tropical location of the property on Mexico’s Yucatan Peninsula lends itself to such fusion of living spaces.